I posted two recipes last year using Japanese quince (chaenomeles) – for jelly and chutney. Both were delicious, and I hoped to find more of this wonderful, seldom-used fruit to continue experimenting with it. The more traditional quince (cydonia oblonga) is not commonly used here, so it is no surprise that this Asian variety is even less popular. It is grown for its beautiful flowers early in the spring, and the fruit are usually left to fall and rot on the ground. If you have one of these shrubs, you could not be blamed for considering the hard, irregularly shaped fruit was inedible. But once cooked, its lemony flavour is apparent, and it can be used in any recipe calling for quince. Even raw, it has a wonderful scent. If you don’t have one of these shrubs, you will have difficulty finding the fruits since they are not sold in markets, but it is not impossible. You may know someone who has the plant and will spare you a few fruits, especially if they don’t know how good they really are. 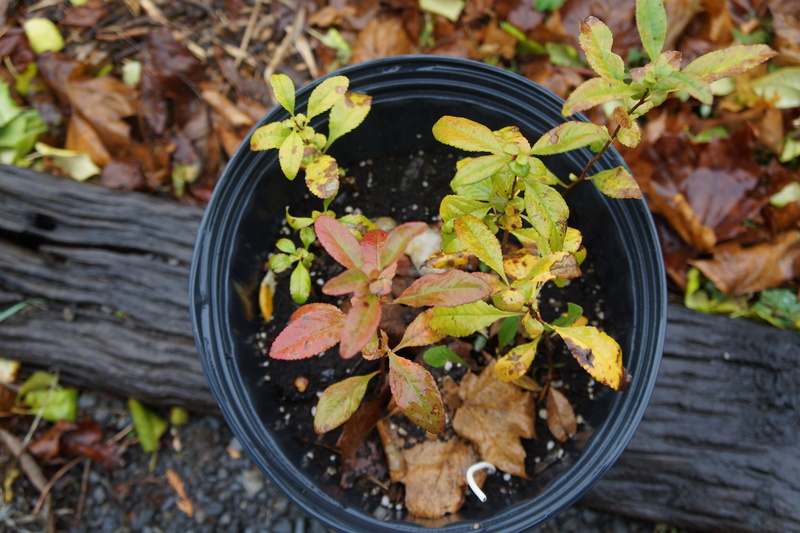 They are such hardy little shrubs, they are sometimes left standing in what once was a garden and now abandoned. I am still in the position of having to collect them from other people’s gardens, but I did successfully germinate some seeds from last year’s bunch, and if they survive this winter outside (their first), I may have my own fruit producing bushes soon. And just in case, I am going to repeat the process again this year with some carefully preserved seeds. I decided this time to make a quince paste – a popular dish of Spanish and Portuguese origin, usually made with the actual quince. Based on the success of the jelly I made, I found the level of pectin is very high, like in quinces, and just sugar, fruit and water are required for a well-set jelly. I decided to use honey instead of sugar, because with all the preserving and jelly making I’m doing, I’m using too much sugar. As I was not sure if this would work, I decided to make a small amount first, so used just half a vanilla pod. Now that first batch has been such a success, I might vary the recipe a little and try adding some other flavours, but meanwhile here is my recipe. Note, you do not have to peel or core them, just chop them in large bite-sized pieces. Put the chopped quinces in a saucepan with a piece of vanilla pod and cover with water. Heat to boiling and then simmer until they are all fully cooked and soft, about 1/2 hour. Put them through a food mill. If using sugar, measure 1 cup of sugar for each cup of pulp. If using honey, use only 3/4 that amount because it is sweeter. Continue cooking on low heat, stirring often to avoid sticking. The mixture will thicken and get darker. After about 1/2 an hour to 45 min., the bubbles will become audible, and look sort of like lava in a volcano erupting. At this point, pour it into a shallow pan lined with lightly buttered parchment paper and allow to cool. Usually served with cheese (manchego in Spain), this sweet goes well with most cheeses. Or try it simply with toast for breakfast. It can be kept for several weeks covered in the fridge, or wrap it and freeze it for longer to enjoy all winter long. Categories: jams and jellies, snacks, sweets | Tags: dulce de membrillo, gluten free, honey, Japanese quince, organic | Permalink. Love the combination of your lovely paste with cheddar, gorgeous! A real coincidence– I was just gifted with another lot of these from the same woman who shared hers last year, so am going to make your paste. Excited. Thank you for the inspiration. I think I will make some more using the flavours you suggest. It would be good for Christmas. I also thought of doing one with hot chilis. And thanks for the links, which as you know I have read with great interest. Thanks for this post. I love both the taste and the fragrance of quince. Thanks, Cynthia. It really is an under-used fruit, and the Japanese variety even more so. Your quince paste is superb, Hilda. This fruit is amazing, the smell is gorgeous and when it’s cooked so tender. I posted last year a quince paste recipe but it took me 2 years to learn how to make it. I love this fruit in wintertime season and your version too. Thanks, Linda. I found it very easy to make – the texture is really firm, but if it is too soft you can harden it further by putting it in a very low temp. oven or dehydrator. And the home-made is just so much better than any I have bought anywhere, it is really worth the trouble. something so new for me 🙂 Hilda thank you for sharing ! Hilda, this is a favorite! I love quince paste. It’s just so rare to find quinces here and when I do they’re often pricey. But it’s a small price to pay for what I think looks like precious rubies and tastes equally as precious. Great post! Thanks so much Amanda. 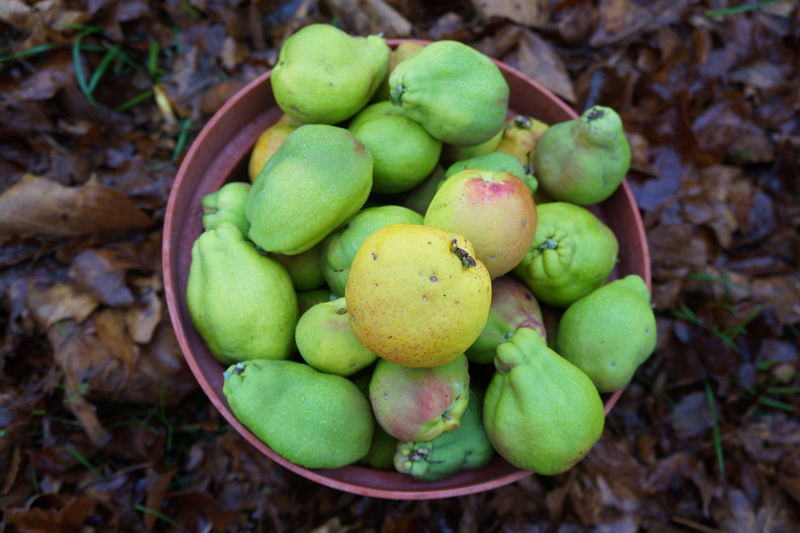 These quinces were not as ripe as I would have liked them, but cooked they worked just fine. I have trouble finding regular quinces here, so this Asian variety works as a great substitute – and free is better than pricey. You’re brilliant, Hilda! This looks wonderful, especially next to the cheese. Hi Fae. This variety is Asian, and usually just ornamental. Not exactly like the regular quinces, but can be used in the same way. The appeal is mostly that they grow very easily in this climate, whereas the regular quinces, although grown, are more delicate. I’m sure they must have these shrubs in Japan, and wouldn’t be surprised if they used them there, though I don’t really know. If you find out, I would be interested in knowing.